The father of 6-year-old Maddox Ritch said he will "forever be a broken man" after a body believed to be his young son was recovered on Thursday. Maddox, who has autism and does not talk, was at Rankin Lake Park in Gastonia, North Carolina, with his father, Ian Ritch, and another adult when he disappeared Saturday. After days of intensive searching, the body believed to be Maddox was found partially underwater in a creek Thursday about 1 mile from the park, officials said. It's not yet clear how Maddox went from the park to the creek, how he died and if foul play was involved, officials said Thursday. "Maddox was my only child and he will be the only one I will ever have," Ritch wrote on Facebook Thursday. "Today I found out I'm not a dad anymore." Ian Ritch had said his son had started sprinting roughly 25 to 30 feet ahead of him before the little boy ran out of sight. "As soon as I got to the point where I couldn’t see him anymore, I started panicking," he said earlier this week. "I would give anything to go back and save him," Ritch wrote on Facebook Thursday. "For the rest of my life i will live with the guilt of not being there to save my son. ... hug ur[sic] children tighter and please don't make my mistake and let them get too far away." 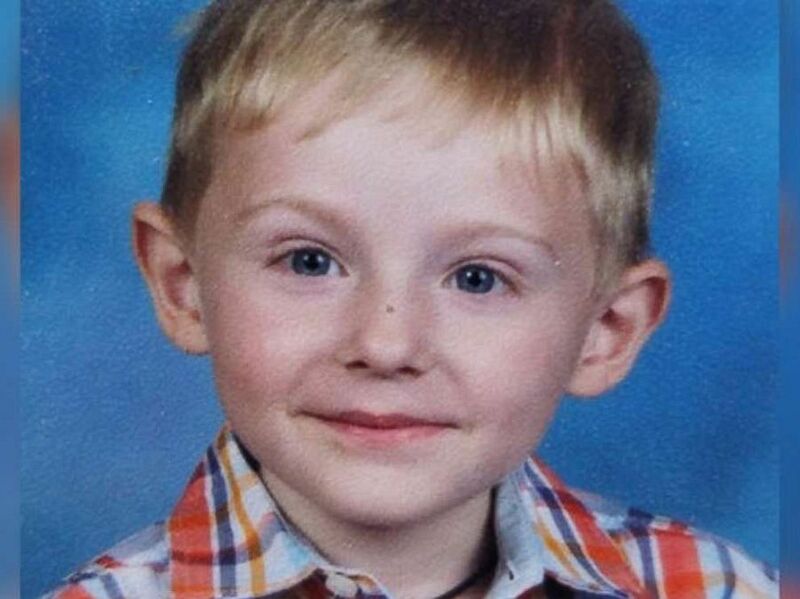 Maddox Ritch, who is described as nonverbal and seen here in this undated photo, was walking near a North Carolina lake when he disappeared, Sept. 22, 2018. Ritch in his statement also thanked those who scoured the park and "everyone in the community that were hoping and praying and just took one second of their time to think about Maddox." Ritch wrote that he had never been a very spiritual person, but now wants to be so that when he dies Maddox "will be the first person I see when I get into heaven. I cant waitto[sic] see his lil[sic] smiling face again. He ended the statement saying, "To Maddox I just want to say I love u[sic] lil[sic] buddy. Please be waiting for me when my time comes." After Maddox disappeared, a park employee called 911, sparking a massive search by local, state and federal investigators. They scoured the land with police dogs, searched dumpsters, waded through the park's lake using sonar and divers and scanned the area with helicopters and drones, police said. Authorities also recorded messages from Maddox's parents and played those messages in the woods in the hopes that their voices might persuade him to come out if he was there. "Maddox is my whole world and my reason for living," his mother, Carrie Ritch, said at a press conference Tuesday. "I want my baby back in my arms," she said through tears.